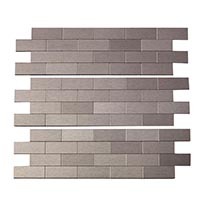 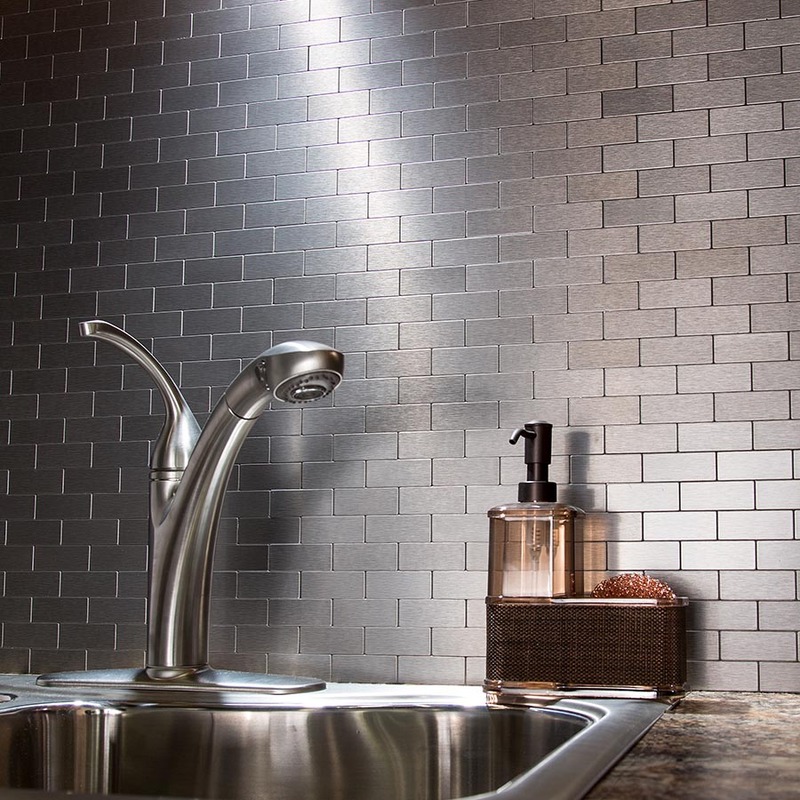 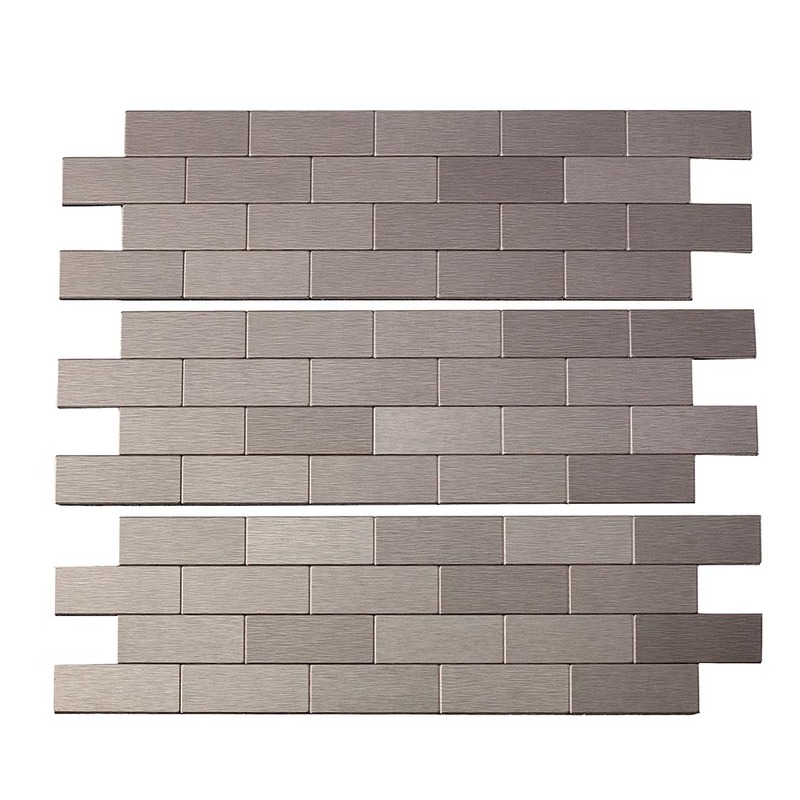 Mini Subway metal tiles in Stainless is an elegant and versatile choice. 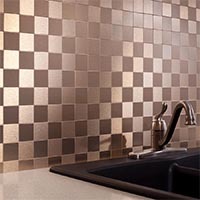 This finish complements both cool and warm tones and brings distinction to any home decor. 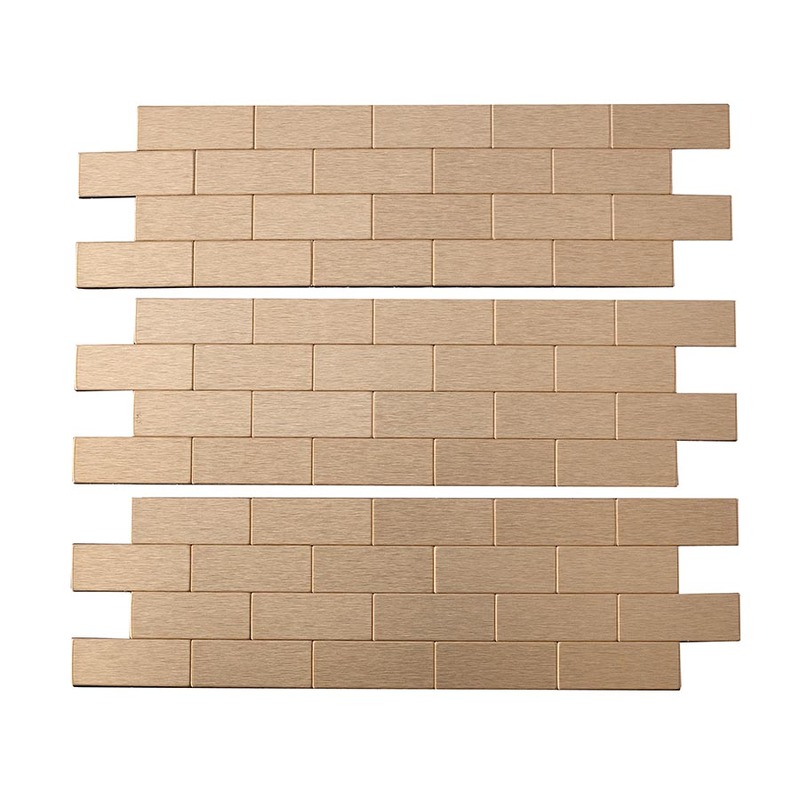 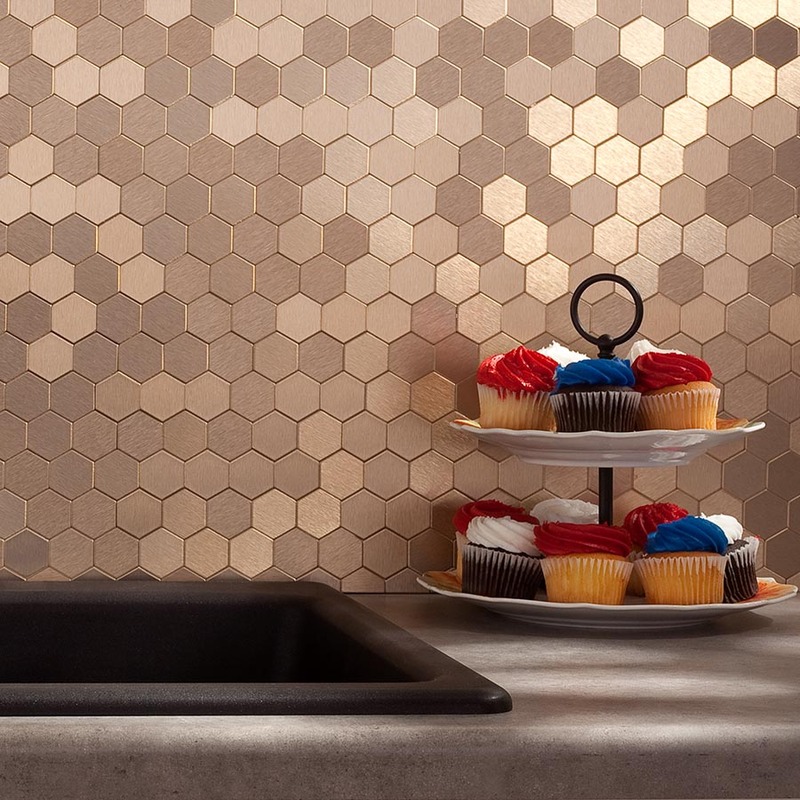 Mini Subway metal backsplash in Champagne has a warm appearance that looks classic against white and coordinates well with grays and neutrals. 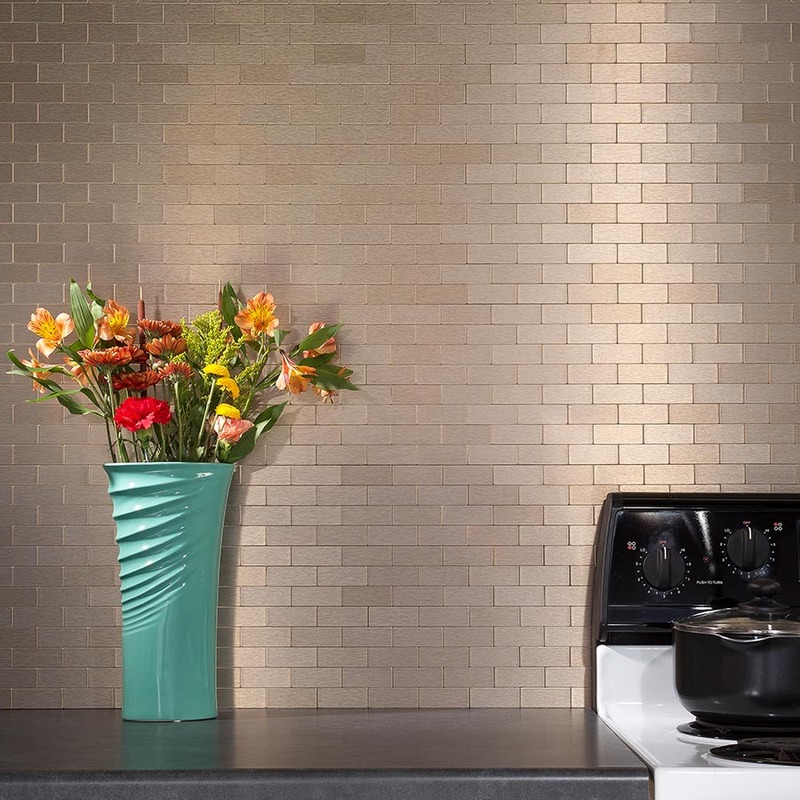 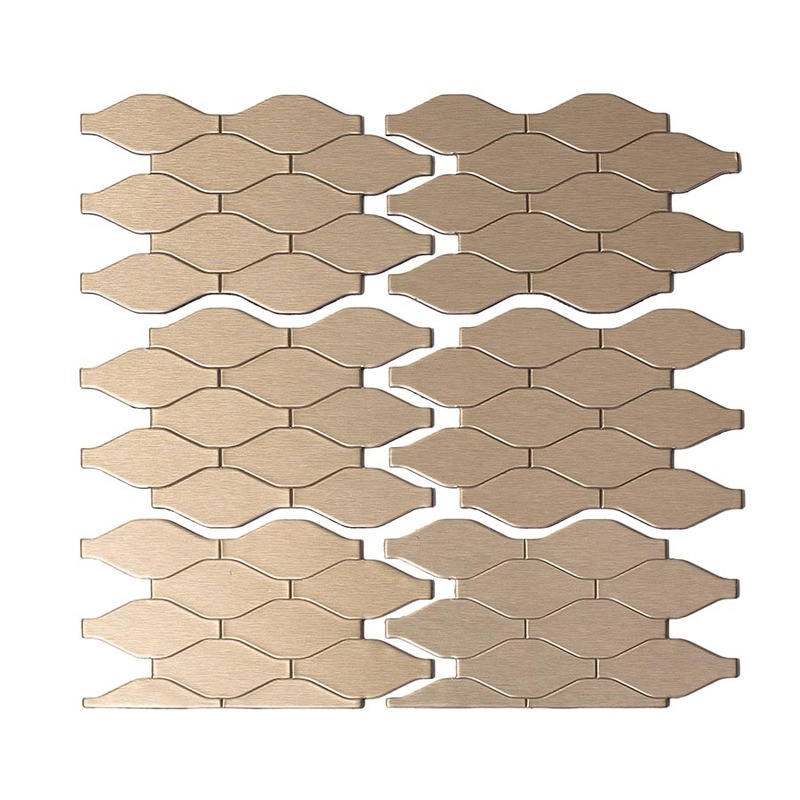 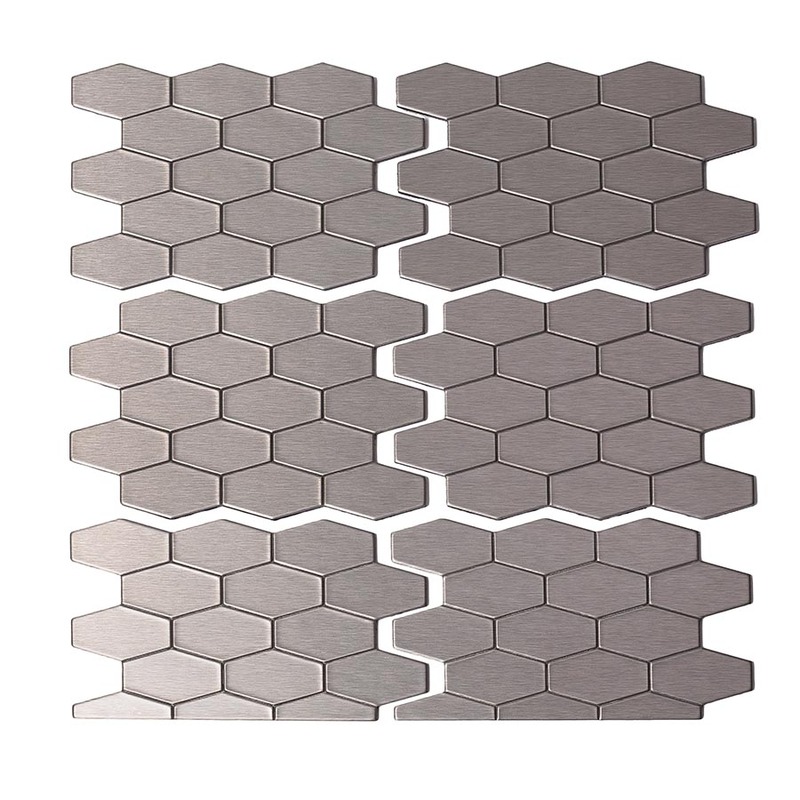 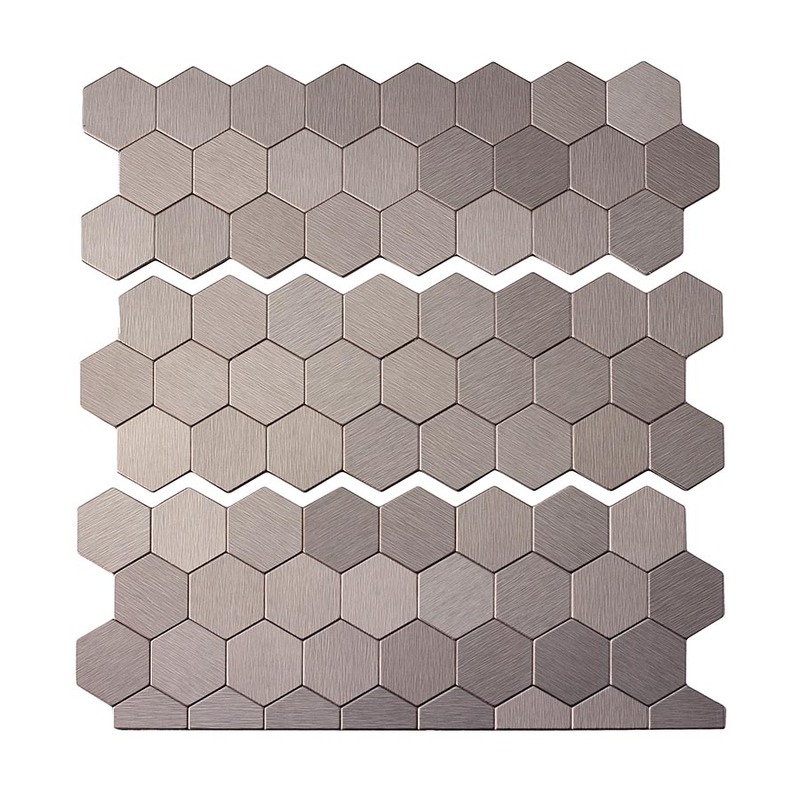 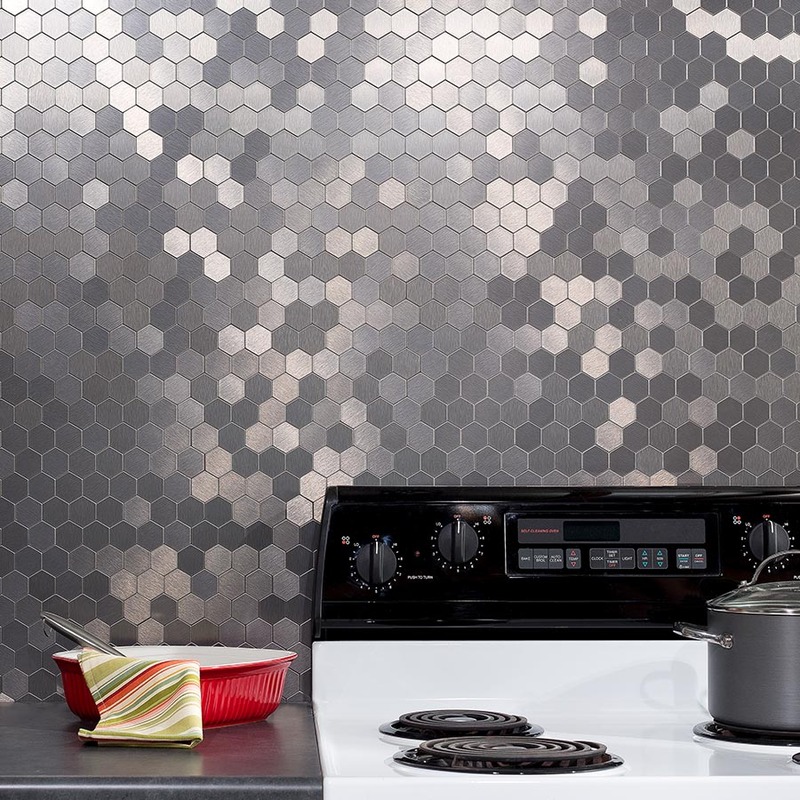 Honeycomb style metal tiles in Stainless is an elegant and versatile choice. 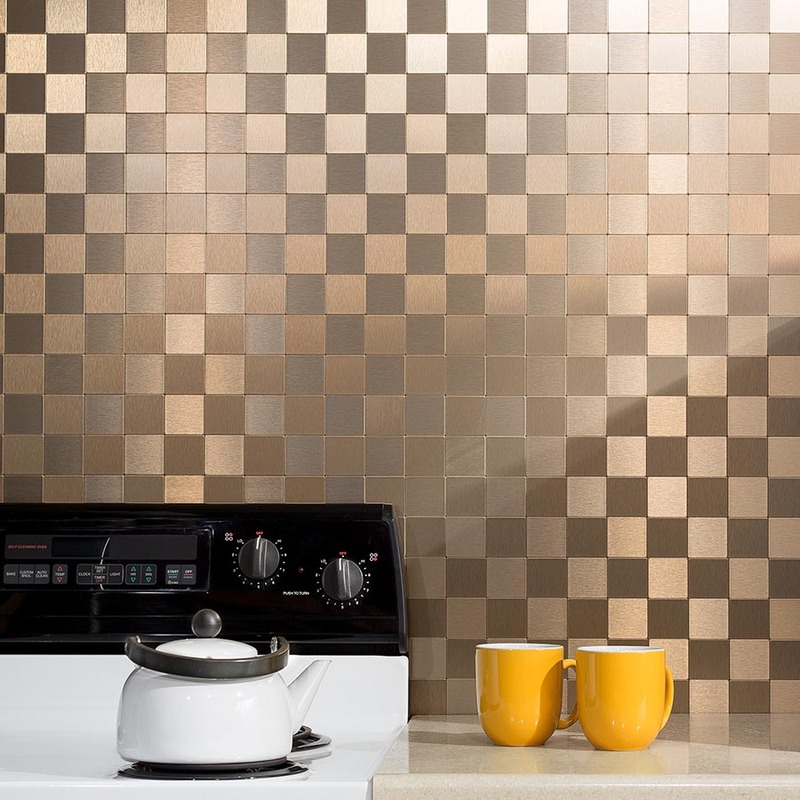 This finish complements both cool and warm tones and brings distinction to any home decor. 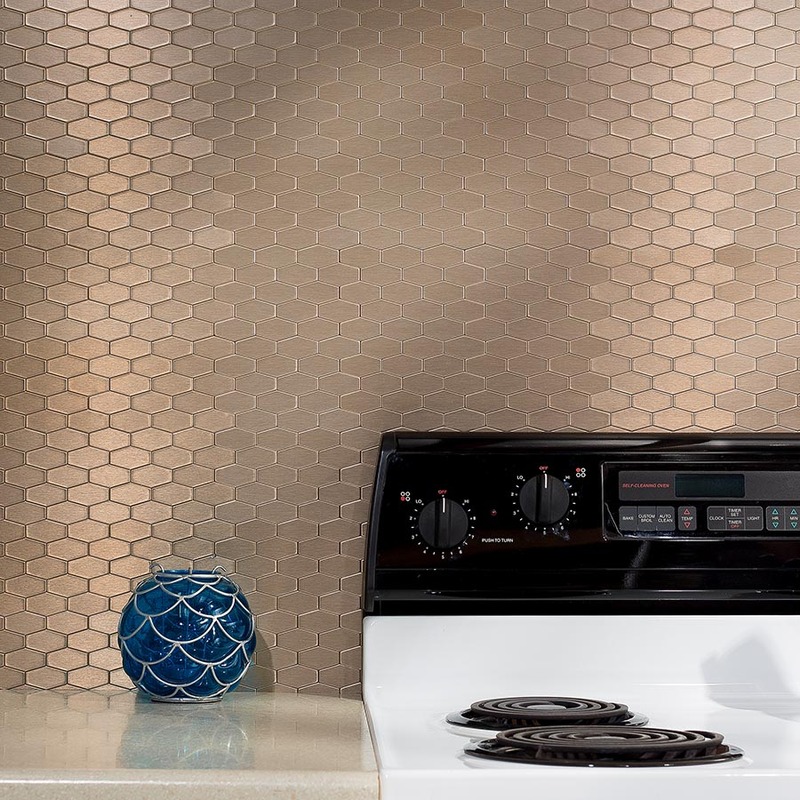 Honeycomb style metal backsplash in Champagne has a warm appearance that looks classic against white and coordinates well with grays and neutrals. Wavelength style metal backsplash in Stainless feature the rise and fall of gentle curves to amplify any surrounding with its subtle sophistication. 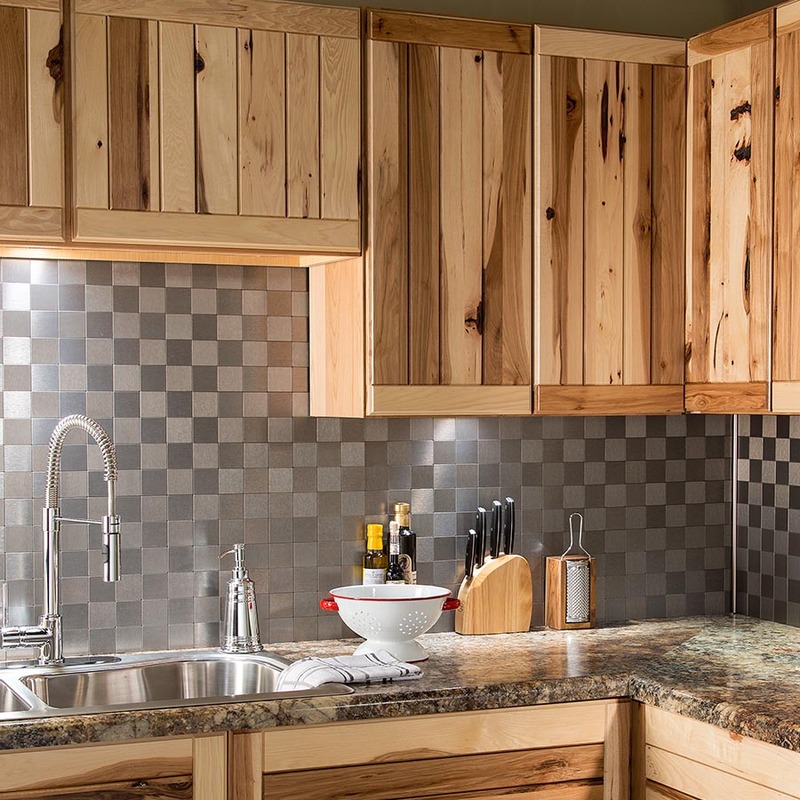 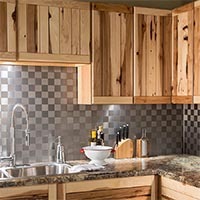 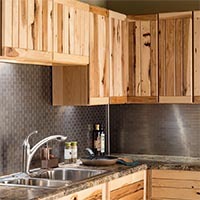 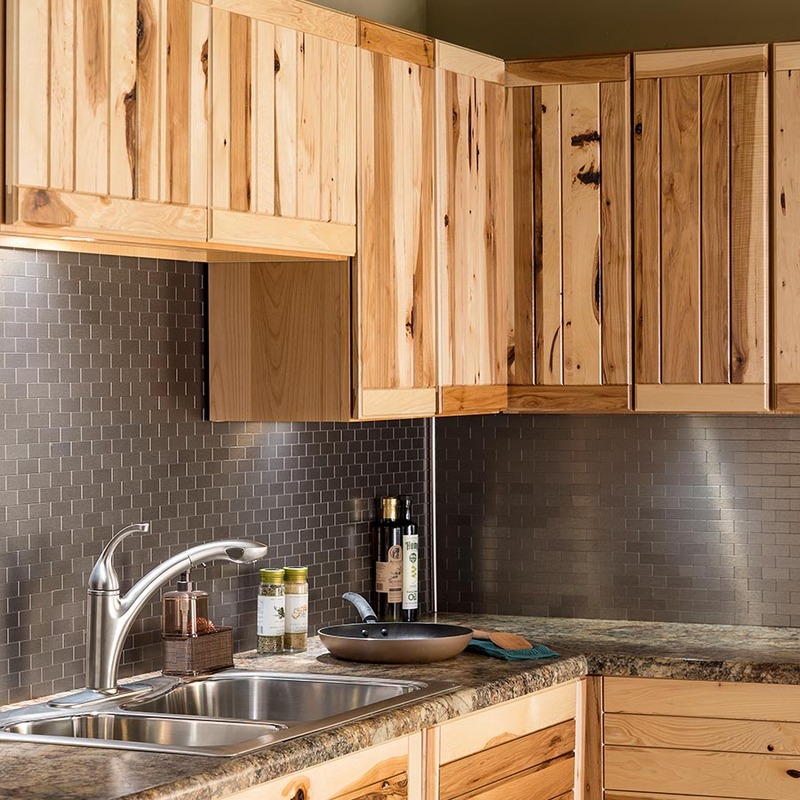 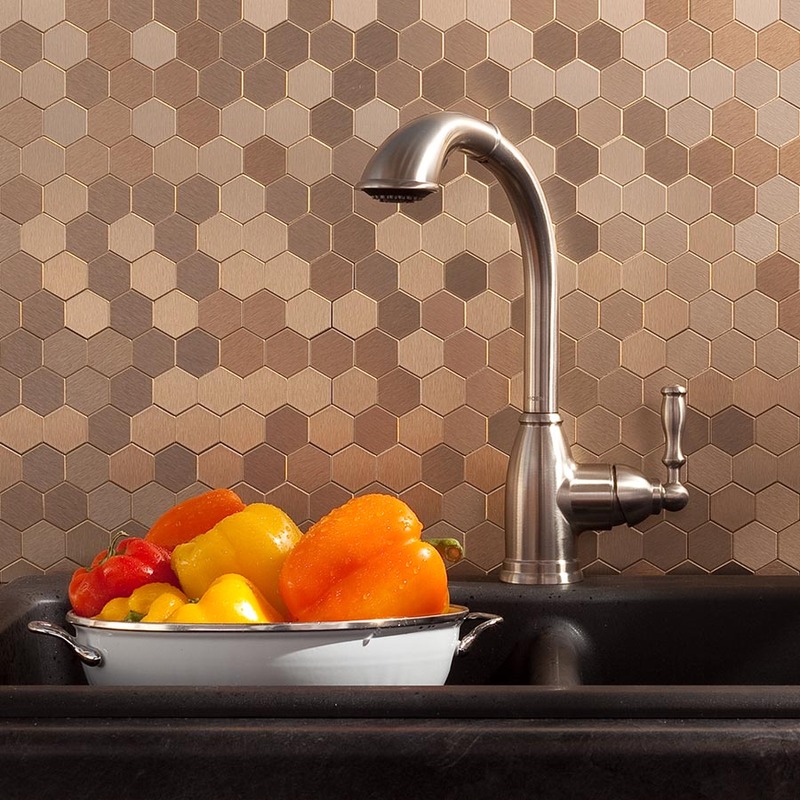 Contemporary and organic, this design provides a foundational element for any modern kitchen or bath. 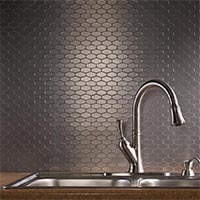 The stainless finish complements both cool and warm tones and brings distinction to any home decor. 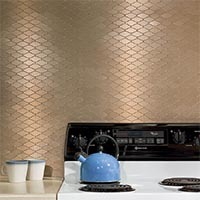 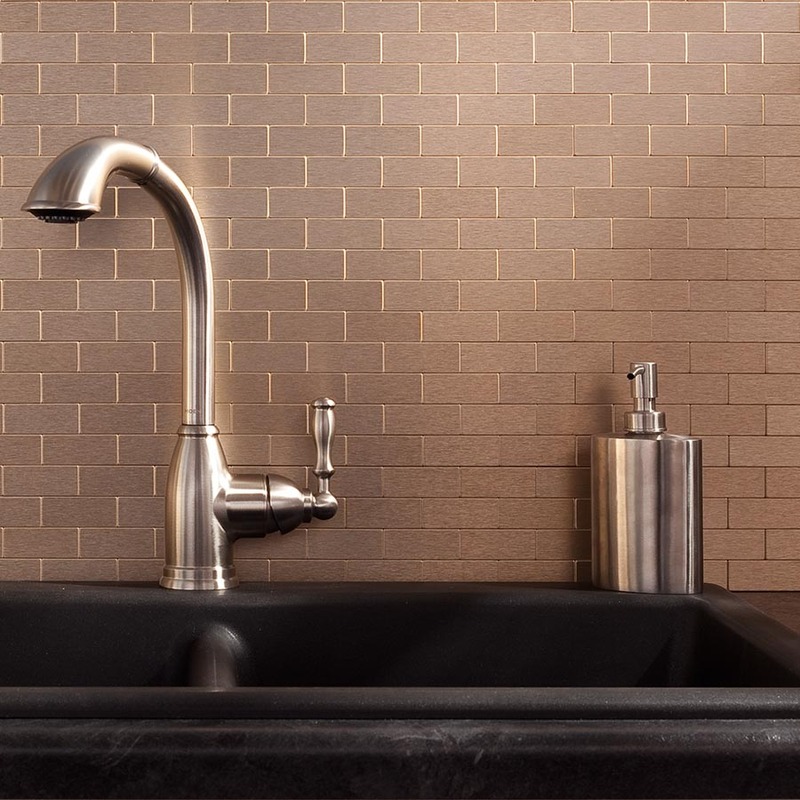 Wavelength style metal backsplash in Champagne feature the rise and fall of gentle curves to amplify any surrounding with its subtle sophistication. 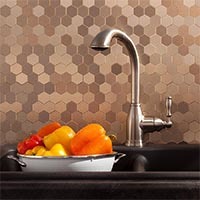 Contemporary and organic, this design provides a foundational element for any modern kitchen or bath. 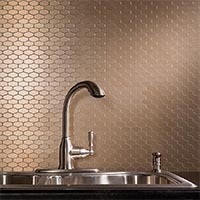 Champagne has a warm appearance that appeals to homeowners looking for a bit of softness in the kitchen or bath. 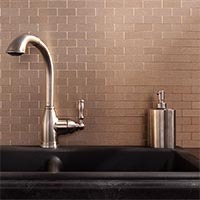 It looks classic against white and coordinates well with greys and neutrals. 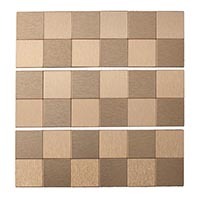 Square style metal tiles in Stainless is an elegant and versatile choice. 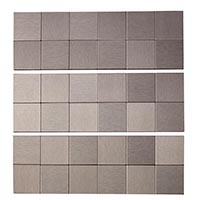 This finish complements both cool and warm tones and brings distinction to any home decor. 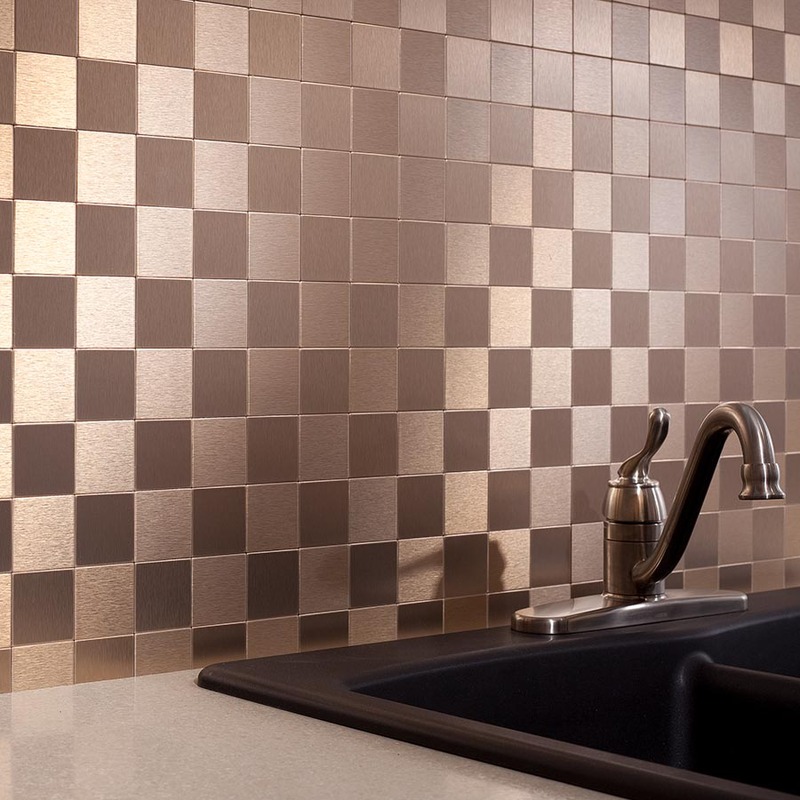 Square style metal backsplash in Champagne has a warm appearance that looks classic against white and coordinates well with grays and neutrals. 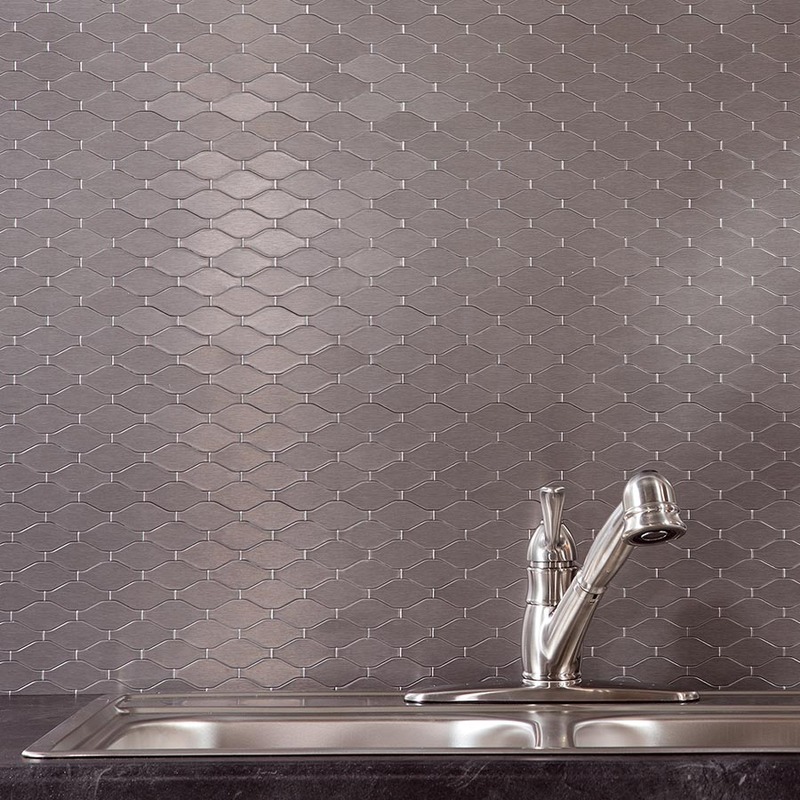 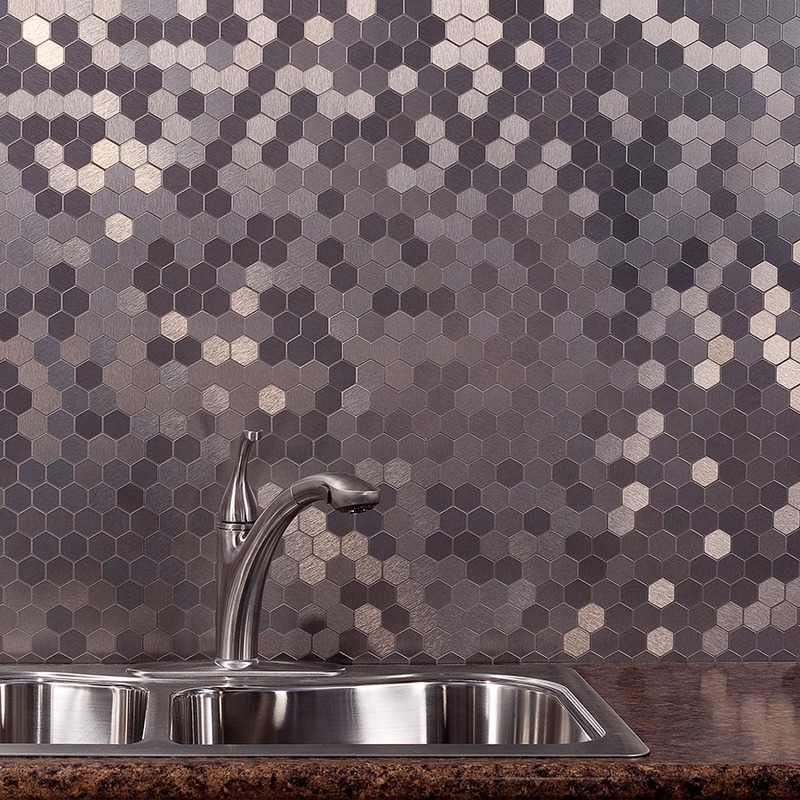 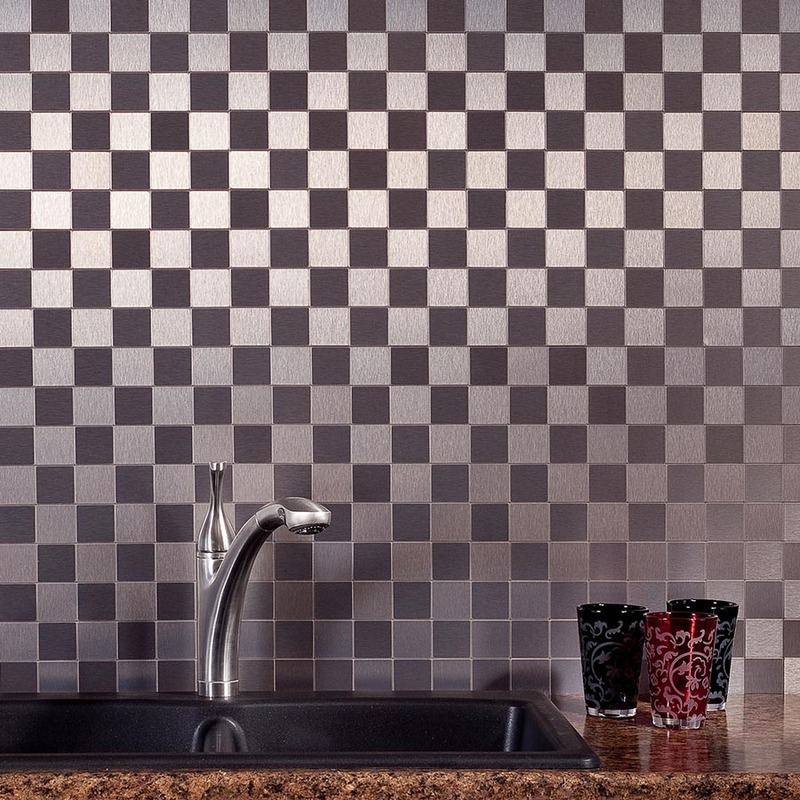 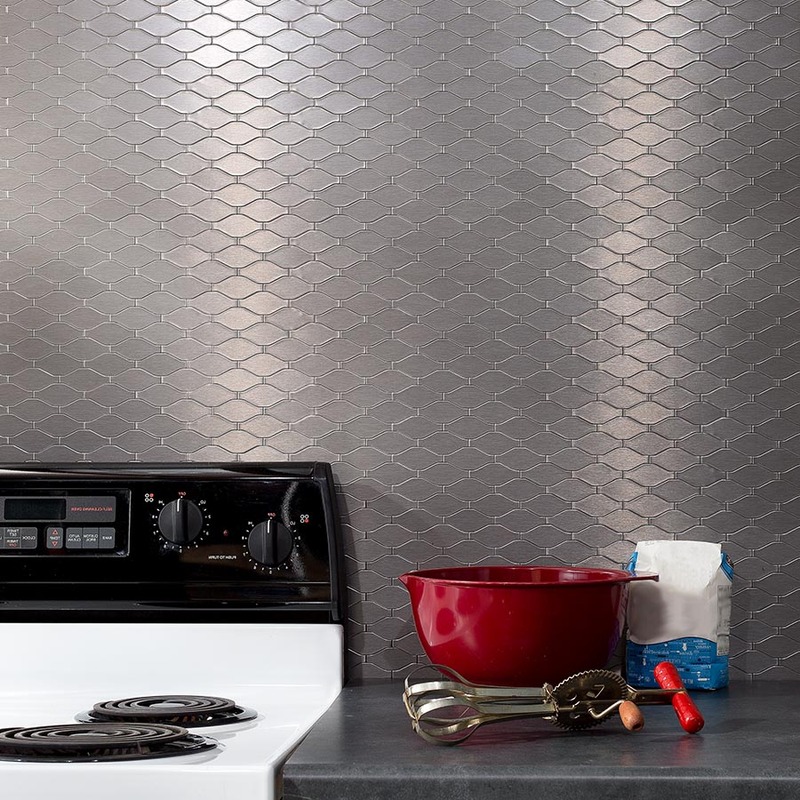 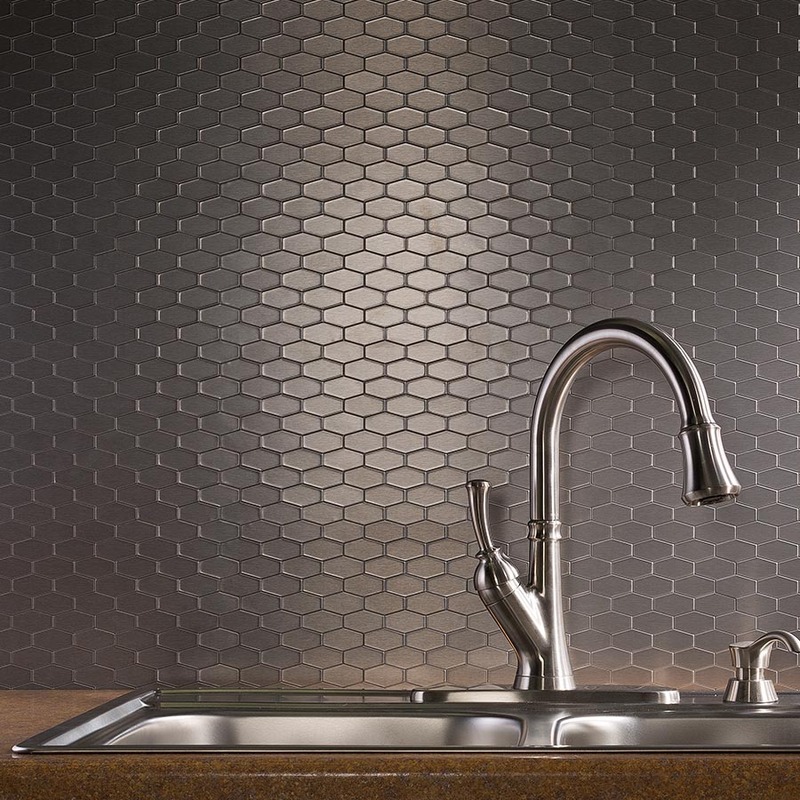 Wide Hex style metal backsplash in Stainless features the tradition of hexagons with an unexpected twist. 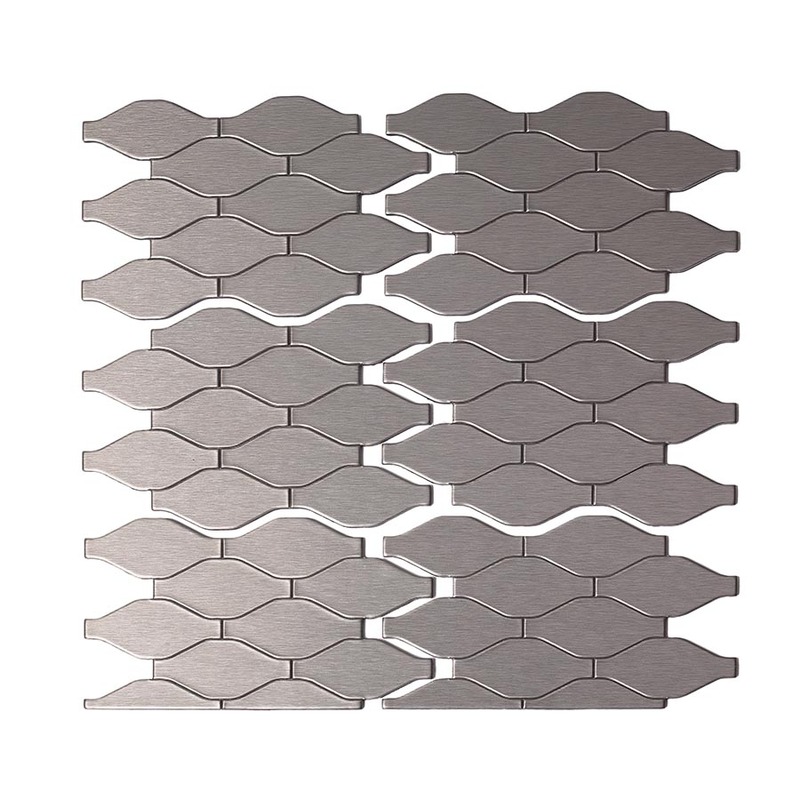 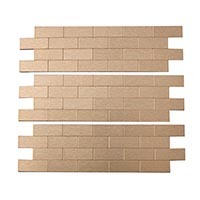 Consists of six-sided shapes stretched for maximum horizontality and visual appeal. 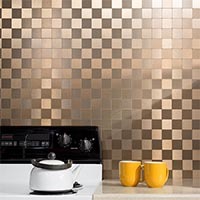 Stainless complements both cool and warm tones and brings distinction to any home decor. 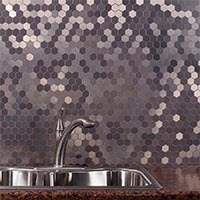 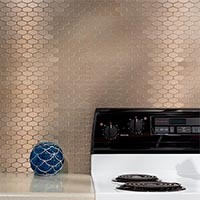 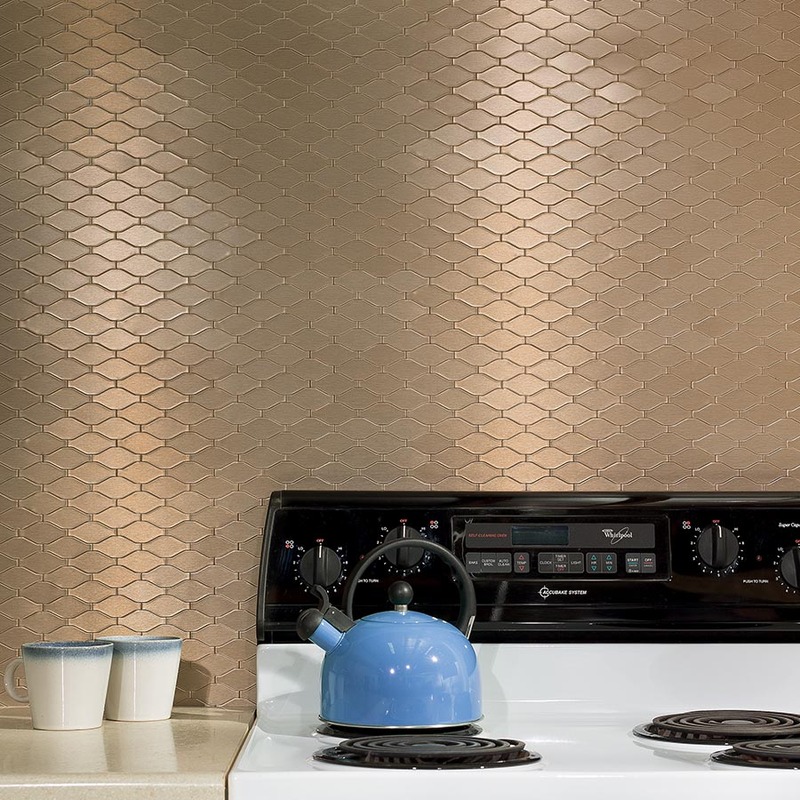 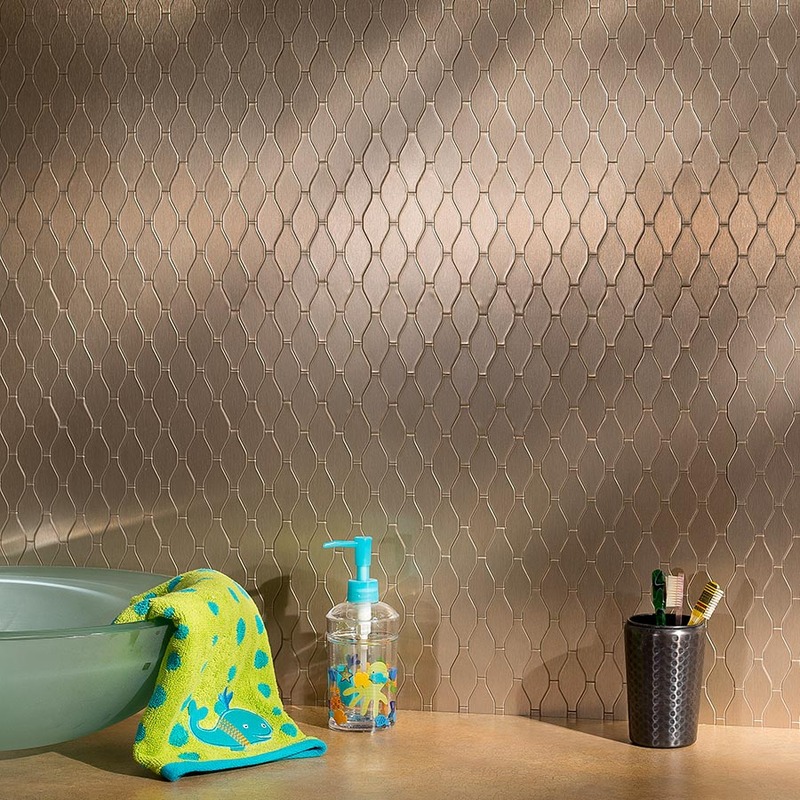 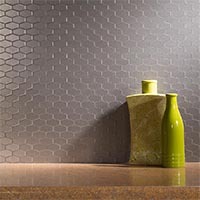 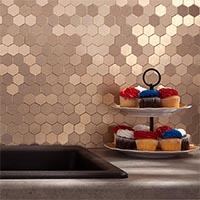 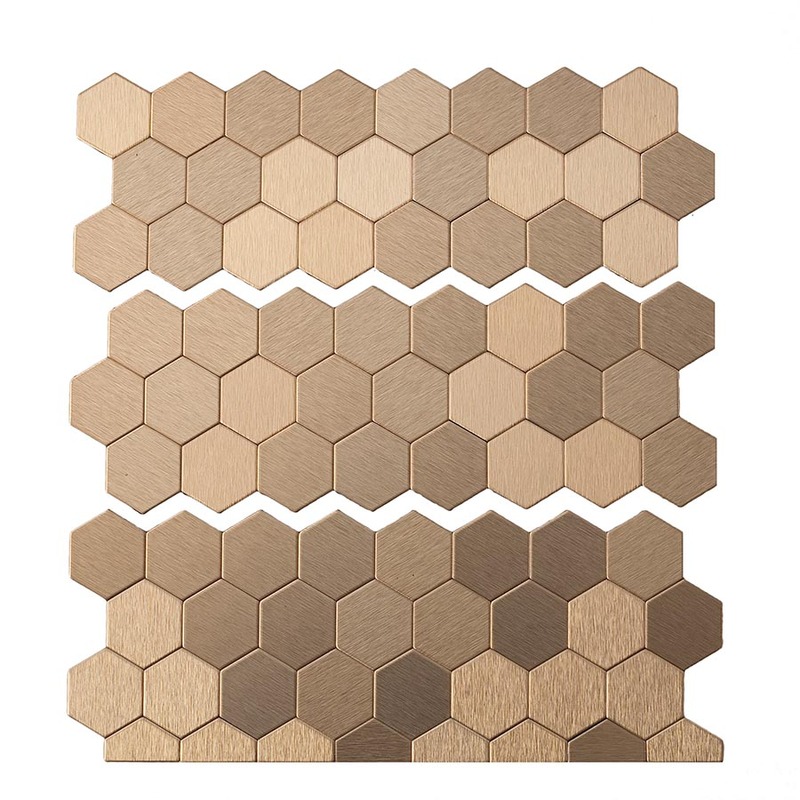 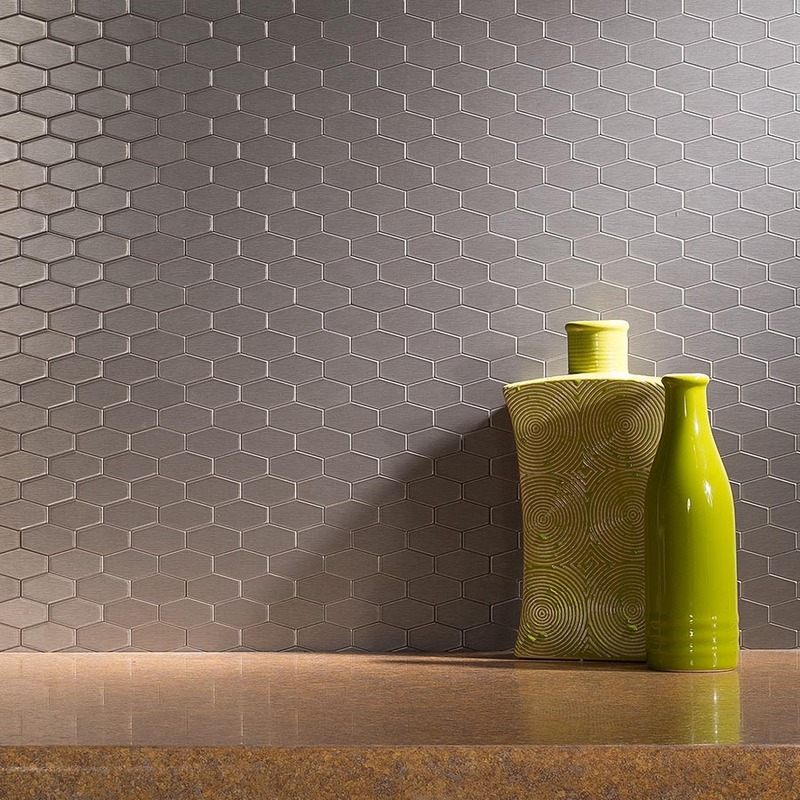 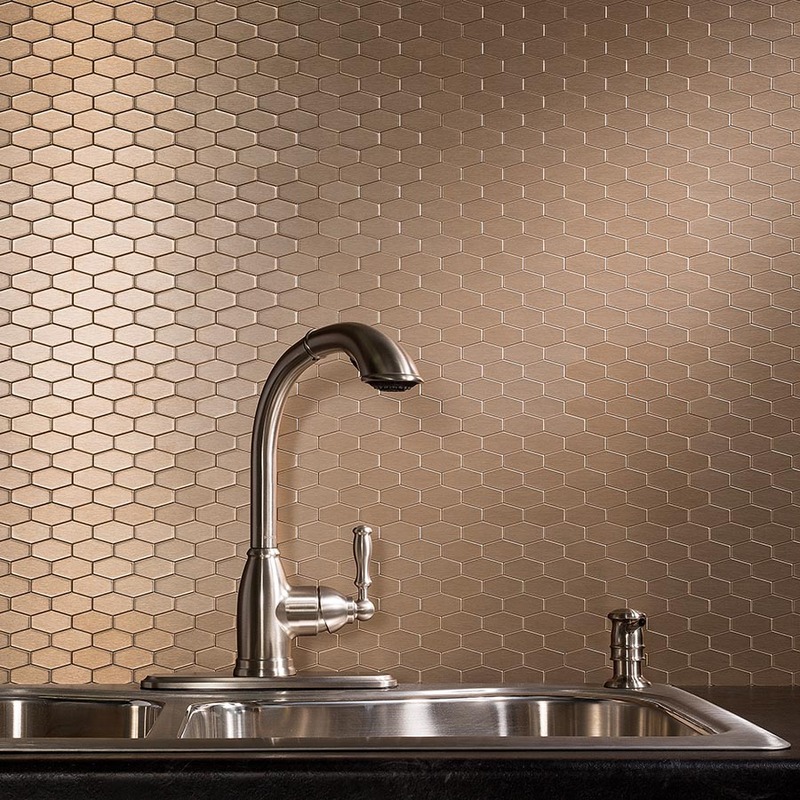 Wide Hex style metal backsplash in Champagne features the tradition of hexagons with an unexpected twist. Wide Hex style consists of six-sided shapes stretched for maximum horizontality and visual appeal. Champagne has a warm appearance that appeals to homeowners looking for a bit of softness in the kitchen or bath. 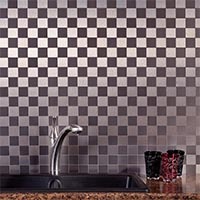 It looks classic against white and coordinates well with greys and neutrals.